I wanted to share the news that we’ve reached a mutual agreement to terminate the 25-year lease agreement with International Container Terminal Services, Inc. to operate the container facility at the Port’s Terminal 6. The agreement allows ICTSI to be relieved of its long-term lease obligations effective March 31, 2017, pending approval by the Port Commission. In exchange, we will receive $11.45 million in compensation to rebuild business at the terminal. ICTSI will also give us all equipment, spare parts and tools at T-6, valued at $8-10 million dollars. While this is a great opportunity for a fresh start at the terminal, it’s still not financially prudent for us to operate the terminal directly. Instead, we’re looking forward to working with stakeholders to devise a new plan with a focus on supporting Oregon and Northwest companies with access to markets. 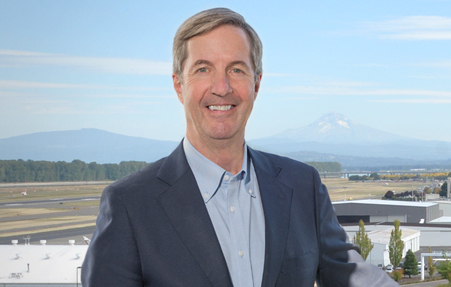 It is important to note that the carrier industry is undergoing rapid change and Portland’s market niche is more narrow today than ever before. A new operating model will require private partners and the strong support of labor in order to be successful. We will transition terminal assets and equipment. This will enable us to conduct maintenance and capital projects necessary to ready the operation for future business. We will establish a strategic vision for the future of Terminal 6. This involves engaging a top level consulting firm to provide recommendations for how the terminal can best be put back into productive use, supporting market access for shippers with a financial and business model that is sustainable over the long term. We will work with an industry leader committee. The committee will include representatives from the shipping community and labor, and will be tasked with providing input on a new plan to bring business back to the terminal. It is expected this planning process will run during 2017 and conclude with a report to the Port Commission during the first quarter of 2018. We believe this agreement is the best opportunity to launch a new strategy to restore carrier service for Oregon and Northwest shippers, to redefine our future in this business, and to bring the terminal back to life. Success will require the strong cooperation of cargo owners, waterfront labor, our partners and all of you to find creative solutions to enable access to markets – I hope you’ll join me in embracing this new opportunity at Terminal 6.